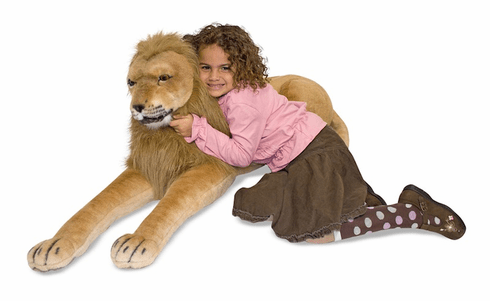 Your child will roar with delight over this Plush Jumbo Lion. He may be the king of the jungle, but he's got a heart of gold and will make a friendly playmate or naptime pal for your child. He measures just over 6' long! Soft and cuddly, he is made of premium quality materials. Perfect for play or display. Measures 75" x 19" x 22.